Pulp frontman Jarvis Cocker has been enlisted to narrate an upcoming exhibition looking at the legacy of Abba at London's Southbank Centre. 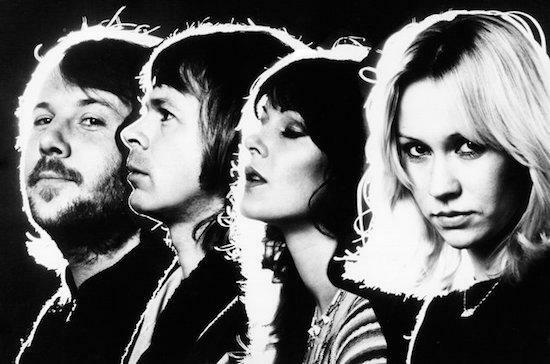 The exhibition, called 'Abba: Super Troupers', will chart the Swedish group's ascent from appearing on Eurovision to going on to dominate the charts in the 1970s and early 1980s. Cocker says he has been an Abba fan since 1976, when his sister bought Arrival and he "played it non-stop for the next six months". The script for the exhibition has been written by the journalist and documentary maker Jude Rogers. It will showcase items from the Abba museum in Stockholm, as well as private archives, costumes, instruments, sketches and scribbled lyrics. There will also be a recording studio and 70s disco mock-up, alongside a recreation of the Brighton Grand hotel suite where the group celebrated their Eurovision victory in 1974. The exhibition will run from December 14 - April 29. For more details, click here.